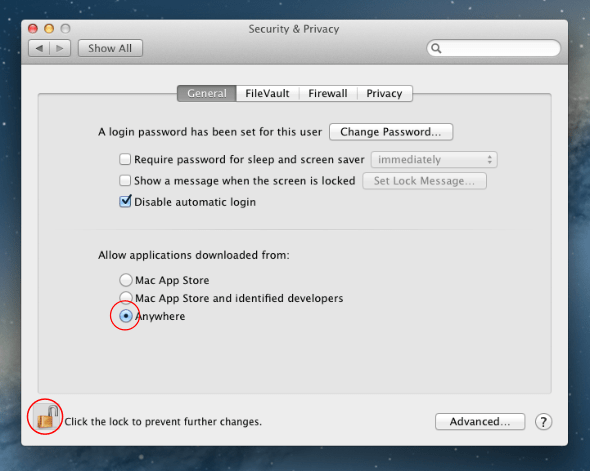 Disabling Gatekeeper is required to install PhotoPearls on Mac OS 10.8 Mountain Lion and newer versions. Select Anywhere in the Allow applications downloaded from option. This allows you to install PhotoPearls. Note: Once you install and launch PhotoPearls, you need to return to this Security and Privacy window and set the download options to a secure setting!